Wait, so my products can go off? Because Pai products are free from often-harsh preservatives like parabens, phenoxyethanol, petrochemicals and alcohol, and are packed full of quality natural and organic ingredients, they have a shelf-life of between 18-24 months from the date of manufacture. Ideally, once opened, you should then use them up within six months. This isn’t an issue for your daily regime favourites like day creams and cleansers, but keep an eye on products that aren’t meant for everyday use, like our Masks. 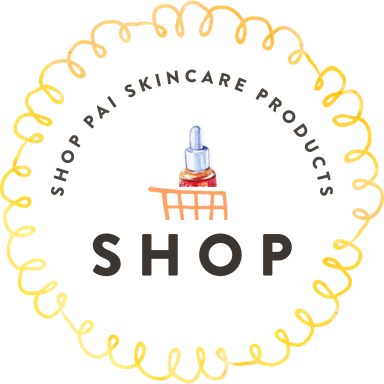 You can view the “best before” date on the bottom of your Pai bottles, or the top of our tubes, so do try and use them within this timeframe for maximum benefit. 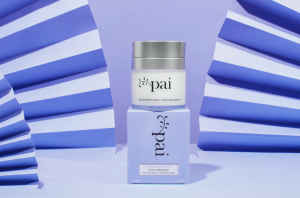 Here are our top tips to help keep your stash of Pai in mint condition, for as long as possible. It’s a good idea to keep products in original boxes or stash them away in a drawer or storage box if your room is very sunny. Direct sunlight and heat is bad news for your products as it may cause the organic ingredients to degrade. We all love a hot soak or a steamy shower, but our bathing environments don’t do Pai products any favours in the longevity stakes! The temperature fluctuations caused by steam and heat could affect the consistency of your products. Instead, try storing them on a dressing table or shelf in your bedroom. Our delicate formulations are stored in specialist packaging to keep them at their best for as long as possible. Decanting products from this packaging is therefore a real no-no, especially as formulas can become exposed to oxygen, causing them to spoil. Possible contamination is also a good reason to avoid decanting; the bottle or pot that you put your products into may not be properly sterilised, causing bacteria to form. Pai products contain natural preservatives, so any bacteria they are exposed to can really compromise their efficiency. If you find that you have slightly overstocked and have too many products standing around, it might be worth re-gifting them – you’ll be a popular friend! Our Age Confidence Cream has had a boost!